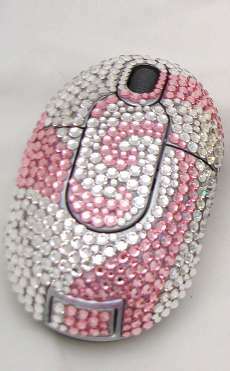 Recently while browsing the net to find a good mouse for my desktop, i had a chance to see this ooh so pretty in pink swarovski studded computer mouse and thought, wow, this one really rocks. I wonder how much would they be and if ever i would have a chance to have one of this. The first picture is worth only $40.00 but the second one is $140.00. That's really something if i may say and very stylish too. 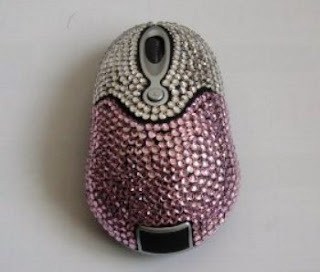 I used to wished i have a hello kitty mouse but this one definitely rocks. I'm open for any donation! LOL. 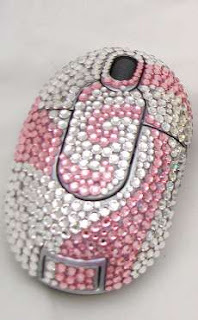 sosyal nman ng mouse na yan! Oooh! Nice. I love anything PINK!